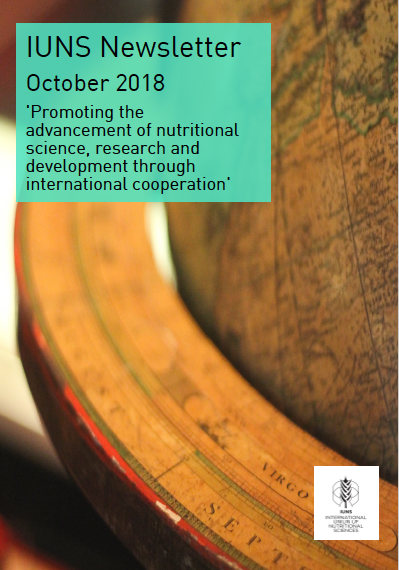 “Scientific basis for FBDGs – new challenges” Translating scientific findings into nutritional recommendations. FENS are hosting a Summer School in Belgrade (19 – 23 August, 2019) in collaboration with the Serbian Nutrition Society and the Faculty of Pharmacy, University of Belgrade on the topic “Scientific basis for FBDGs – new challenges”. The Summer School is aiming at capacity building of PhD-Students and post-docs working in the nutritional, epidemiological or public health fields. There is no fee for attending the summer school. However a small charge of € 70 will be requested for office supplies, refreshments and a social event. Further information, about registration and payment methods are available from Vanja Todorovic via email. UNSCN: A world free from hunger and all forms of malnutrition is attainable in this generation. The World Health Organisation (WHO) Department of Nutrition for Health and Development (NHD) is looking for data on the effectiveness of policies on nutrition labelling, and on policies to restrict marketing to children. Deadline 5 April 2019. The IUNS Newsletter October 2018 edition is now available to read online or to download in pdf form. This edition contains a report from ANEC VIII held in Addis Ababa, Ethiopia and news from the IUNS Task Forces. The programme to promote Flavour Research amongst PhD students in Europe by awarding six first year bursaries and one best thesis prize is a great with enthusiastic participation from many universities across Europe. A consortium of companies including DSM, Givaudan, IFF, Kerry, Lesaffre, MCLS Europe and Nestle support the programme which is not in its ninth year. Giract is now accepting applications for the 9th edition of the programme. For more information including how to apply for the programme please visit the Giract website. The latest edition of the IUNS Newsletter is available to read online. The May 2018 edition of this biannual newsletter features the IUNS Council’s activities at the 21st IUNS-ICN held in October 2017 in Buenos Aires, Argentina. Read more. The Hideyo Noguchi Prize is now taking applications. The Prize aims to honour individuals with outstanding achievements in the fields of medical research and medical services to combat infectious and other diseases in Africa, thus contributing to the health and welfare of the African people and of all humankind. For more information including application criteria please visit the Noguchi Prize website via this link. International Council for Science (ICSU), in partnership with the Network of African Science Academies (NASAC) and the International Social Science Council (ISSC) will support up to 11 collaborative research projects across Africa (to the value of up to 90,000 Euro each over two years) that will that explore integrated approaches for sustainable urban development in Africa. ICSU invited African early career scientists to submit collaborative research proposals that apply a systems approach to analysing urban processes in Africa. The European Food Safety Authority (EFSA), based in Parma, Italy are looking for Junior Scientific Officer – Microbiology/Epidemiology (Contract Agent, Function Group IV). The International Atomic Energy Agency (IAEA) have announced that they will be holding an ‘International Symposium on Understanding the Double Burden of Malnutrition for Effective Interventions’. The purpose of the symposium is to strengthen understanding of how to tackle the double burden of malnutrition by sharing recent findings as well as experiences with the implementation of relevant interventions, programmes and policies. The IAEA are calling for papers for the symposium. For more information on the symposium and on how to submit a paper please follow this link.